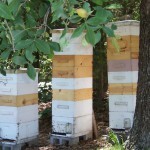 Jefferson County Beekeepers Association » Serving beekeepers in Jefferson County and surrounding areas. It’s that time again! Time to renew your membership to the Jefferson County Beekeepers Association. By renewing now, you can be assured of receiving all meeting notifications and information about the association. Our rate is still the affordable $10.00 per year. Dedicated to the growth, preservation, and distribution of beekeeping information in beautiful and historic Jefferson County, Missouri. Our county is located approximately 40 miles southwest of St. Louis, Missouri. Here nestled in the foothills of the Ozarks, one can find a mixed bag of land use. Uses include subdivisions, factories, mining, and agriculture. Many feel it is the best of all worlds. 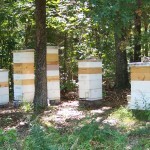 Jefferson County Beekeepers Association: Serving beekeepers in Jefferson County and surrounding areas since 1970.